Are Our Kids in Danger from Artificial Turf? Artificial turf was first widely used during the early 1960s, with the advent of domed athletic arenas. It was created to replace the grass-covered playing fields of roofed-stadiums, which blocked the passage of sunlight, interfering with natural grass's growth and longer-term health. The use of artificial turf spread from professional arenas to amateur sports, including playing fields for schools and local recreational facilities used by children. Originally hailed as a major innovation for athletic activities, artificial turf soon exhibited disadvantages. In addition to frequent maintenance and replacement, heightened health and safety issues emerged. Not only could it be difficult to play on, leading to bone, ligament and muscle injuries, its ingredients frequently contained toxic substances that could generate permanent organ and tissue damage. The original artificial turf went through several stages of evolution designed to provide a safer, more reliable playing surface. Although advocates of synthetic turf fields insist fields are safer, numerous incidents in recent years suggest otherwise. A growing body of evidence suggests that prolonged exposure to artificial turf can generate sometimes disastrous health consequences, particularly for children. While the surface covering - the artificial "grass" itself - is most evident to the human eye, 90% of synthetic turf is comprised of its base and the tiny black granules resembling dirt, that fill in the intervening space between the grass and the base. 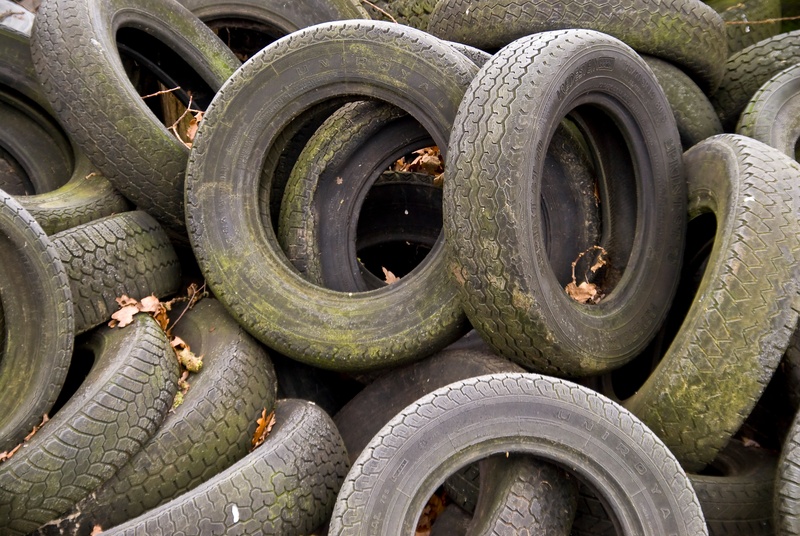 Primarily composed of minutely shredded vehicle tires, they are called tire crumbs or tire mulch. Chemical analysis of tire crumbs shows a number of hazardous substances - including arsenic, benzene, cadmium and nickel - are among their fundamental components. The presence of these volatile organic hydrocarbons (VOCs) and similar toxic compounds are the source of considerable concern about the welfare of children using these fields for sports and recreation. Elements of the recycled rubber in-fill of synthetic turf are a little larger than grains of sand, but with a coarser texture. A child falling onto the surface may suffer abrasions or cuts from contact with these particles, which almost immediately provide the toxic substances access to the child's bloodstream, leading to potential infection. More than this, vigorous play can generate a cloud of crumb-dust that can be absorbed through children skin or into their lungs. In particular, persistent contact with tire crumbs raises the likelihood of respiratory ingestion, bringing the smallest particles into the child's lungs. These conditions are especially liable to emerge when synthetic fields are exposed to prolonged heat, typical of the summer days when children are most likely to use them for extended periods of often strenuous activity. Heat can cause gaseous emissions of the crumb's toxic components in the form of particulates released into the air, causing the children to breath-in these substances simply by being on the turf. Absorption through the skin is also a distinct possibility. Among the serious medical conditions resulting from persistent or prolonged exposure to artificial turf are cancer, allergic reactions, effects to the thyroid, neurological damage, and infections of the ear, eyes or skin. Repeated and direct contact with leached chemicals, dusts and emissions from tire crumbs or mulch can trigger these symptoms in at least some of the children playing on synthetic turf. The development of cancer among children should not be surprising; butylated hydroxyanisole in rubber crumbs is a recognized carcinogen. Moreover, adults working in rubber fabrication factories are commonly infected after similar exposure. A moderate level of health concern has been expressed for allergic reactions to latex and other substances used in tire crumbs. The substances benzothiazole and 4-(t-octyl) phenol can cause eye, skin and respiratory infections, and may be at least peripherally connected to the rise in asthma among children. Although the extent of these effects has not been entirely documented, sufficient evidence -- including recorded cases of cancer in children -- strongly indicates the deleterious health effects of prolonged exposure to synthetic turf. Manufacturers of synthetic turf, their industry representatives and lobbyists in Washington tell a different story. In particular, the Synthetic Turf Council (STC) has stated that the absence of entirely verifiable scientific data regarding turf's negative impact on children's health is to be expected; in their view, turf generates only a slight health risk, and then for only a selected, rather than the general, population. The STC cites a range of research reports spanning 2+ decades to support its stance. However, while the turf industry may claim no direct proof linking tire crumbs/mulch to cancer in children exists, the fact that children (and adults) exposed to synthetic turf for extended periods are afflicted with the numerous mentioned conditions requires greater public management. Synthetic turf may represent a profitable use of recycled rubber, but the risks involved strongly suggest better health standards for its manufacture and installation are mandatory to ensure children's health.